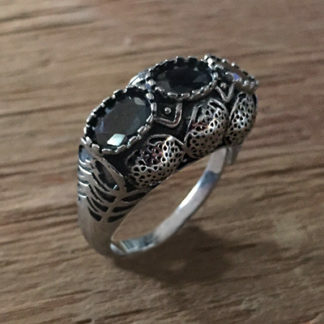 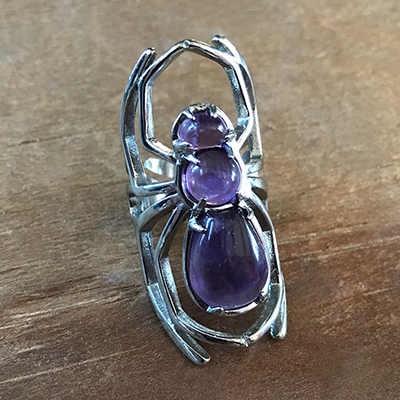 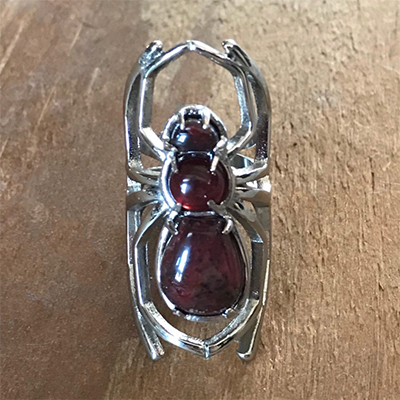 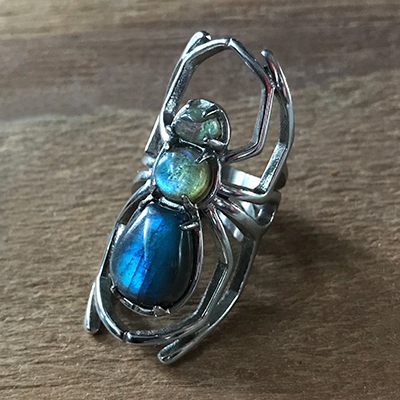 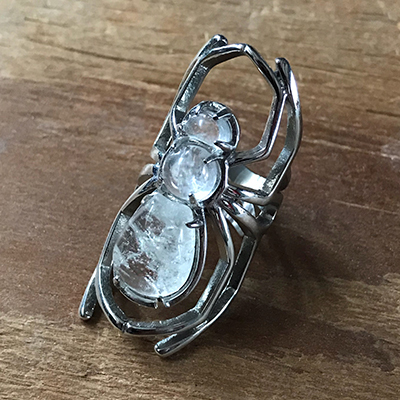 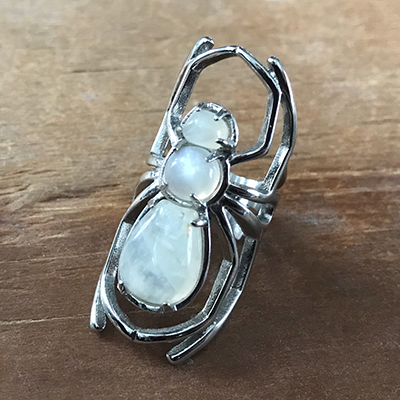 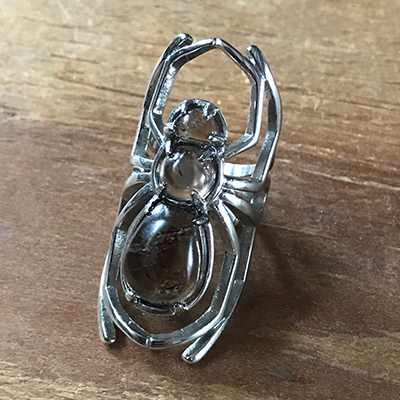 The Spider Grandmother Ring is a symbolic tribute. 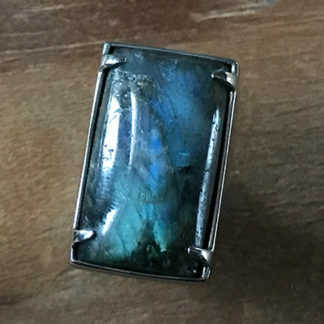 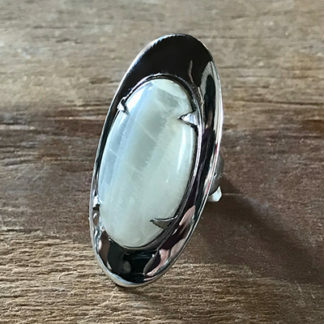 A cuff style ring of stone and steel designed to be timeless. 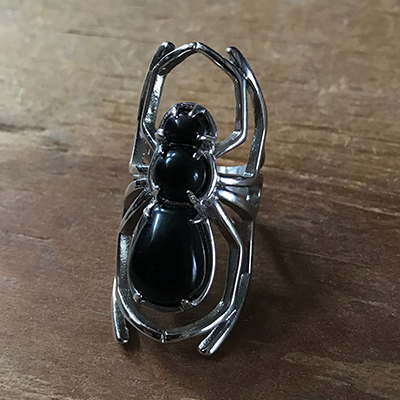 A symbol of a memory in childhood about the Spider Grandmother Spirit and the story my grandmother told me. 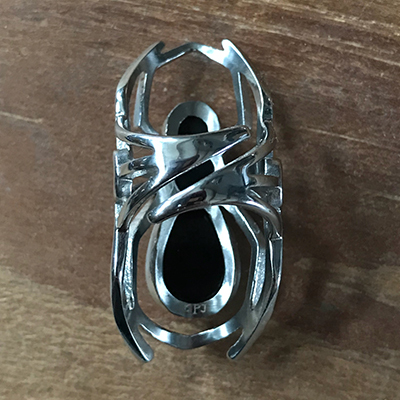 The Ring features a new adjustable opening style for comfort and easy adjust. 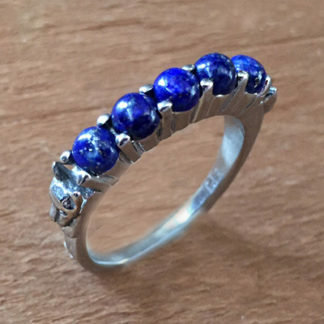 Adjusts from sizes 4-11.5 Stainless steel with your choice of available stone. 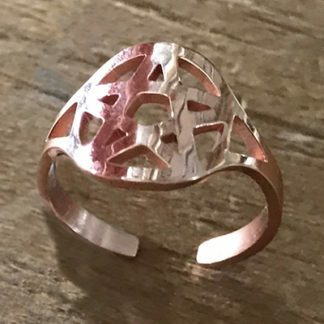 (selection drop down above ‘add to cart’ button) If you would like your ring adjusted before shipping please leave ring size in notes.